I ordered the 2011 Argyle Pinot Noir, the Oregon winery’s entry-level Pinot, last spring, and finally got around to tasting it. It has gotten quite the bad rap on Cellartracker with an average rating of 85.3 points, and some pretty scathing reviews, calling it boring, tart, disjointed, unbalanced etc. I don’t know. This was my first wine from Argyle, but I remembered when ordering the bottle that my Pinot-nut buddy Jeff The Drunken Cyclist has a thing for the winery, the price was right (around $15), and so I ordered the bottle. I bet I should have let it sit for much longer, but yesterday was the night I opened it. When I poured the wine, I was delighted because it had the right color. Some of you may remember that I tend to open American Pinots with a tad trepidation because I often find it hit or miss. When I open a Pinot Noir, I am looking for a light, brickish red color, not a Cabernet Sauvignon dark. So this was had just the right color for me. Sniffing the first swirls, I couldn’t help but be struck by how much it smelled of freshly pureed raspberries. It was a combination of this berry and quite noticeable acidic aromas that made for a very fresh initial impression. Then, some metallic aromas (rust) crept in, which was a bit weird. I liked the first 2/3s of the wine when I tried it: it was light-bodied, nicely fruity but with a quite strong acidity, again aromas of raspberries. The metallic notes persisted, but not too prominent. The finish was a tad bitter, and disappointing. Not much length there. Over the next hour or so, aromas of dark chocolate started to come to life and there were some herbal aromas coming in. What’s the take on it? Definitely not a complex or outstanding wine, but also not bad. We’re talking about an entry level wine after all! The $15 seemed a bit high, but then again we are moving in Pinot Noir territory from Oregon, so prices are higher in general. It did seem somewhat unbalanced with its strong acidity, but then again I am not really averse to higher acidity if it does not turn into vinegar. And this one did not taste vinegary to me. The aromas were good (loved those pureed raspberries), except for the weird metallic note. I think this is a decent drinker, not sure what to pair it with. Definitely would give it some time in the bottle, and also let it air for a while before you drink it. It pulled itself together after a while. Final verdict? Decent and I welcomed the old world style. Check out the video fellow blogger Jeff of Stay Rad posted when he tasted the wine (which he seemed to like quite a bit!). 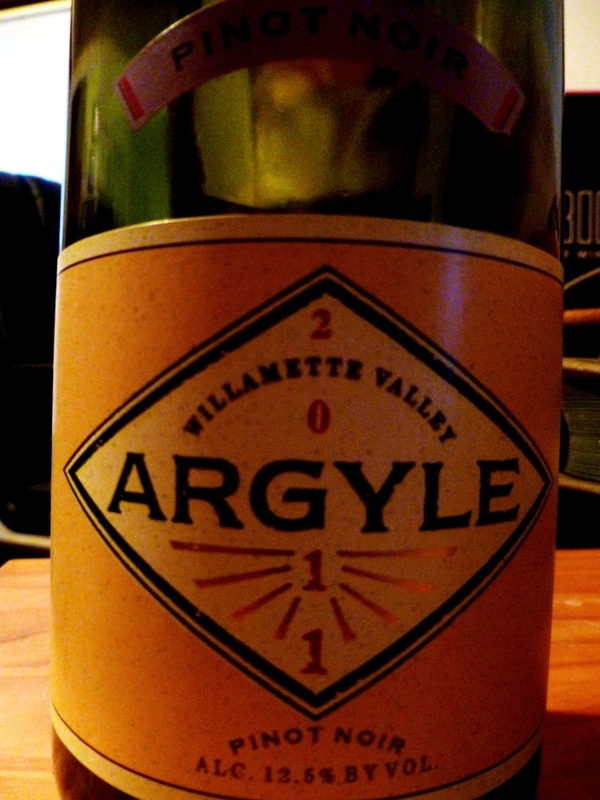 Great review, Argyle is one of the few Oregon Pinot wines I find in HK…I enjoy the wines from this winery quite a bit. Great blog! Thanks for stopping by! I am loving your photos, glad I stumbled over your blog. Your blog is fantastic…looking forward to reading/hearing more. Cheers! Very nice review as always, Oliver: very precise and indicative of what you perceived from your tasting. Thanks! I remember liking this one quite a few years back. But, like you, I open (any) Pinot with trepidation. Really? Not fond of the grape? I am just not fond of how many winemakers deal with the grape. I’ve had this one before and just didn’t feel the urge to go back to it. So I can see where you are coming from. Completely agree with the higher end Pinot’s from Oregon. The only ones that have come close in depth but not $ have been from Chile. Thanks for the input, Ernest! Good to know I am not alone. I have never tried a Chile PN, now I am seriously intrigued. Shame it was off slightly as I have enjoyed this winery before. I think Argyle was probably my first experience with Pinot, many moons ago. Better luck on the next one. Salut…. There’s a dark side of champagne? Hahahaha, well spotted! I’m just not a fan of the bubbles, especially at the price point they usually command. Not worth my limited resources IMO. I go for prosecco and sparkling rose sometimes. They do the trick and are usually pretty decent. What are your thoughts on those? See, and this is where my rather general dislike of bubbles comes into play. I am just not fond of the mouthfeel of bubbles. That doesn’t mean that I am not enjoying sparkling wine once in a while, it is just rarely a go to for me. I’ve definitely had great sparkling wines before as well, but just not that much my thing. I’m mostly with you there. It’s rare that I am actually in the mood for a bubbly. Mostly I’d prefer some serious backbone, rich deep flavors, and something that is still evolving it’s taste in my mouth for a minute, not just the first 2 seconds. Well, I am not sure I want to know that I have any influence over you, but I am glad to hear you tried the Argyle and more or less liked it. I have tried a ton of inexpensive Pinot over the years and I feel like Argyle (and Siduri) are better than most at the lower price points. The thing is: Pinot gets remarkably better at $30, but that places it beyond the reach of an every day wine (at least for me). The Argyle wines at the top of the spectrum ($50 and up) are truly wonderful, but now we are getting even further away from “every day”. Thanks also for the heads up regarding Siduri. Need to check those out. I wish I had another bottle then I’d invite you over and we could finally meet…. Is Rollin Soles still making wine for them or is he just making his own stuff now? 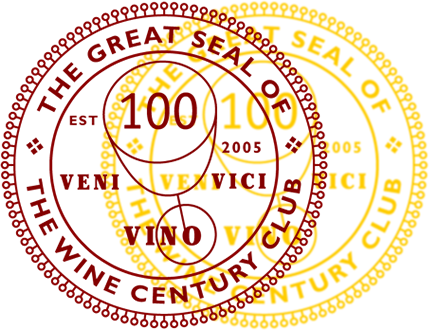 I actually have no clue…but the Wine Spectator says he stepped aside in Feb 2013 to focus on his Roco adventure. I almost bought this one the other day, based on Jeff’s previous mentions of the winery. Couldn’t convince the husband to try it though. Sounds good – I would try this one.